Find St James nestled in the bush overlooking the Wahio River, at the top end of the village. St James gained its claim to fame in 1946 when the view from the altar window, featuring the Glacier, was featured on a Peace Stamp commemorating the end of WW2. The Church now holds a Category 1 Historic Place Listing. 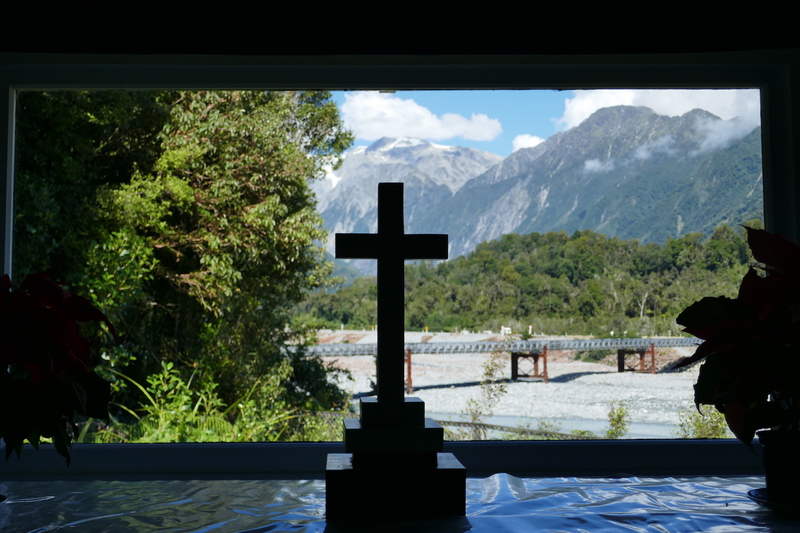 In February 1931 the Governor-General, lord Bledisloe, laid the foundation stone for St James' Church at Franz Josef Glacier / Waiho Gorge. Three months later the church was officially opened. Today the Church is enjoyed by visitors who take in the view, peace and heritage of the building. The visitor book is testament to the many visitors that pop in each day to have a look around and enjoy the setting. 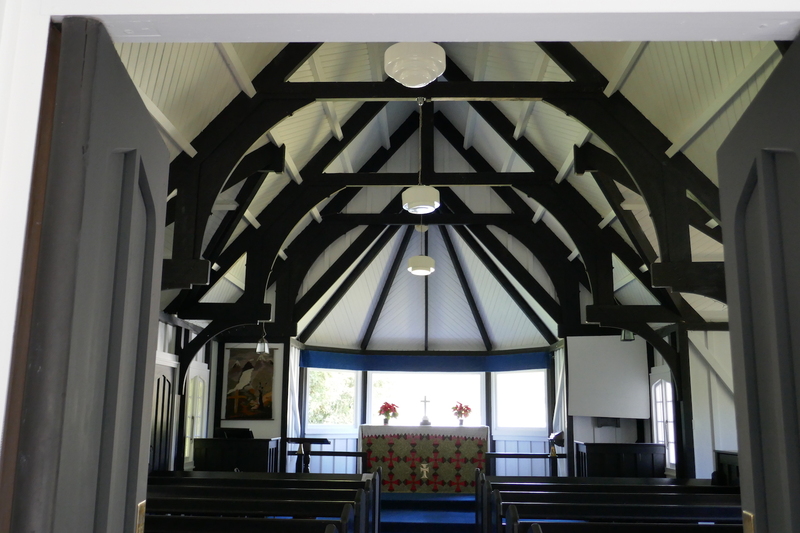 All visitors are welcome to join the fortnightly services on the first and third Sunday of the month, usually at 5 pm, during the summer and monthly over the winter period. Xmas eve and Easter services are also held. Regular services are also held at Hari Hari, Ross and Whataroa.